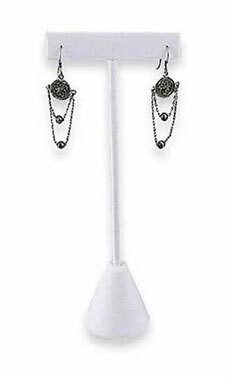 Display your earrings in an affordable stylish way with our White Faux Leather Earring T-Bar Displayer. The display is a lightweight economical way to make the most of your jewelry. Features include a t shaped bar with a self supporting round base to showcase a single pair of earrings.